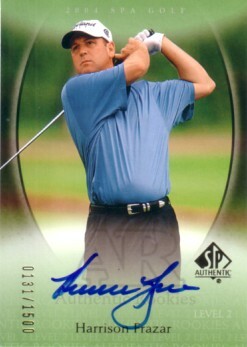 2004 SP Authentic certified autograph golf card of PGA Tour veteran Harrison Frazar. Numbered #131/1500 on the front. ONLY ONE AVAILABLE FOR SALE.